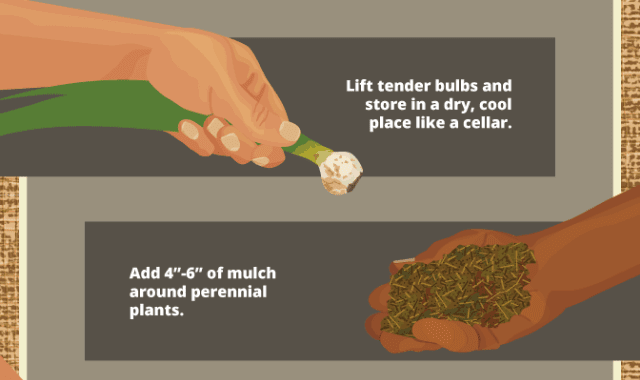 Preparing Your Garden For Winter #Infographic ~ Visualistan '+g+"
In late summer and early fall, barbecues are still grilling, kids are still swimming, and the garden is in full glory. Preparing for the coming winter feels wrong for so many reasons, but if you prepare your gardens this fall, your plants will thank you later. As hard as it is to envision, winter is a-comin’. Depending on where you live, Old Man Winter can be gentle or brutal on plants, trees, and shrubs. We’ve got some techniques to help you protect them.